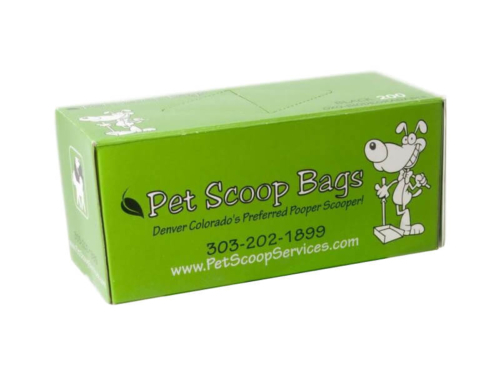 These low cost, high quality Bags will last longer as they come 300 to a roll, 20 Rolls per Case. Designed to fit in larger dispensers. 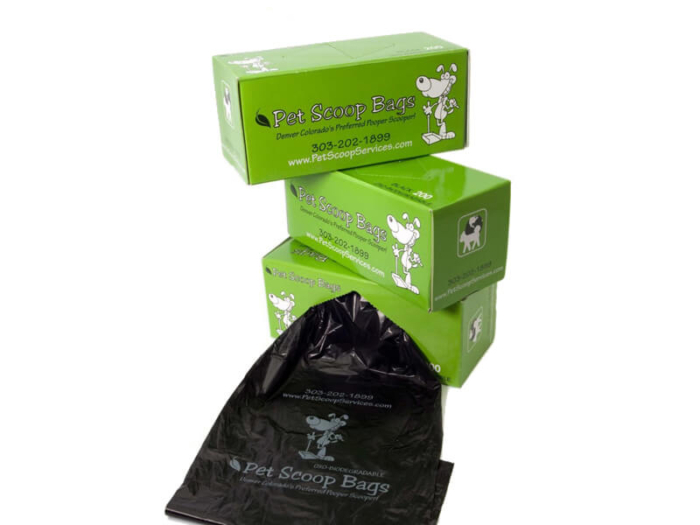 Opaque, oxo-bio bags mean you can make the poop disappear in the most painless way possible. NEW PRICING! Our best bags at a ridiculously low rate of $189.00 per case (only $9.45 per roll of 300) and we still offer FREE delivery for regular service clients, in the Denver-Metro area. You won’t find a lower price anywhere!